The Apostle Paul is never shy in his willingness to draw an unfavorable comparison between the wisdom of this world and wisdom of God. 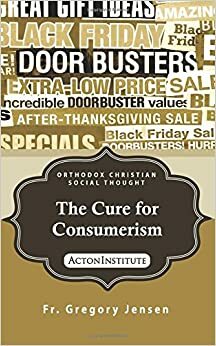 He does this in any number of places including his epistle to the Colossians in which warns them, and us, not to become a prey of the “empty deceit” of “human tradition.” These merely human philosophies are inspired by “the elemental spirits of the universe.” Instead of these, we are to hold fast to Holy Tradition. Or, as he says in another place, we, are to hold fast to “the traditions which you were taught, whether by word or our epistle” (2 Thessalonians 2:15, NJKV). What Paul is condemning is human knowledge detached from Christ. Worse still, is that knowledge which is used to pull the human heart away from Christ. This idea of the “hidden presence of Christ” brings us to the Gospel reading. Jesus is as much the Savior of the world when He is in the manager on Christmas morning as He is at His circumcision. And the 12-year-old Boy Who listens and questions the teachers of the Law this morning is as much the Lawgiver as the He Who says “A new commandment I give to you, that you love one another; as I have loved you, that you also love one another” (John 13:34, NKJV). The reality is that most of Christ’s life was hidden. But for all that it was hidden, His life was no less salvific. We need to be careful that we don’t reduce the ministry of Christ to just the last few years of His life. Worse still, is the tendency among some Christians to reduced our Lord’s ministry to the last few days or hours or even minutes of His life. The death of Christ on the Cross is salvific because His preaching and teaching and miracles are salvific. And all these things matter because the whole of Christ’s life saves us. The importance of the Incarnation isn’t instrumental; God doesn’t become man so he can talk to us or suffer and die for us. Thinking about the mystery of the Incarnation in this way compartmentalizes our Lord’s life. Or, to put it another way, to think of the Incarnation in instrumental terms is, ultimately, to deny that God actually became Man. Or, to borrow to return to the Apostle Paul, it is to confuse the Gospel with the empty deceit of human philosophy. As I said a moment ago, human knowledge disconnected from Christ is an empty deceit. Let me now make this stronger. A life lived apart from Christ is an empty deceit. My brothers and sisters in Christ, Christ is always there. In every book we read, in every person we meet, in every piece of music or art. And we can say this because, in the Incarnation, Christ has joined Himself to each and every single human being. Christ dwells, even if only in a hidden fashion, in each human heart. The deceit, the lie, is two-fold. One the one hand, I deny His presence in my life and, on the other hand, I deny His presence in yours. To take either path is to live a life of practical atheism. Before the Creed, the bishop and the priests exchange a greeting: “Christ is among us! He is and ever shall be!” We can say this not simply because Christ is here, in the Liturgy but because He is my heart and your heart and each and every single human heart. My brothers and sisters in Christ, if I can’t find Christ where ever I go, or in whatever I read, or in whomever I met, the problem isn’t that Christ is absent in that place. It is rather that I am closed to His presence in me, in my heart. My brothers and sisters in Christ, can there be anything worse than a Christian who is closed, or ignorant, or indifferent to the presence of Christ in his heart? Is there anything as empty as a heart that refuses to acknowledge the presence of Christ within it? Is there a greater lie that to say that Christ is not in my life? Christ is the “head of all” because in His Incarnation He has come to dwell in all.